The third in our Habitat series, Habitats: Life in the Wetlands – Everglades National Park is now available. 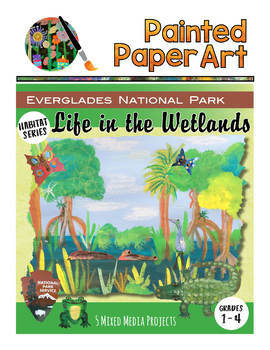 This unit contains information specific to the wetland habitat and connects fun art lessons and science together while bringing The Everglades National Park to your classroom. Everglades National Park spans across 1.5 million acres in the southern portion of Florida. It is a destination your students will love to learn about while gaining an understanding of a wetland habitat.